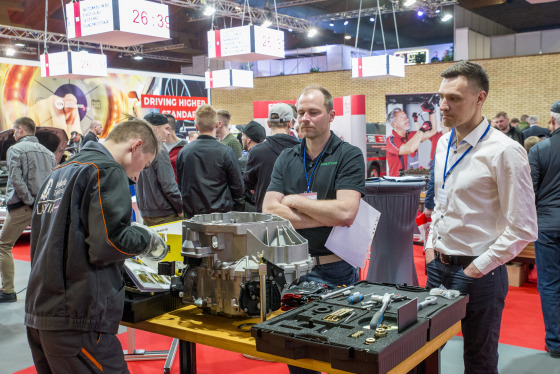 AUTO 2019 - Auto 2018 attended by 38 thousand visitors! 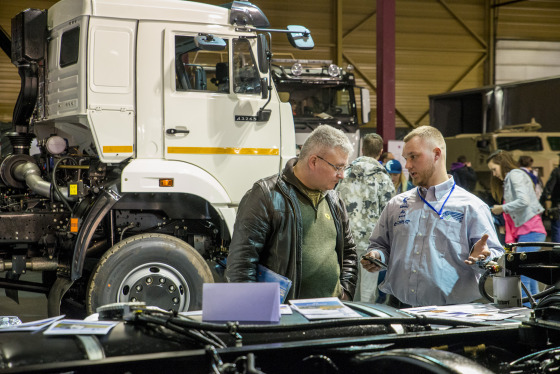 Traditional horn honking evening April 8 closed the International Motor Show “Auto 2018”, the biggest automotive industry event in the Baltic States, that, after 11 years of gap, took up three exhibition pavilions. The three-day event this year was attended by 38,092 visitors, of which 33% were invited industry professionals and business customers, 22% were families with children, 33% - adults, 12% - students and senior citizens. The Motor Show “Auto” includes four thematic sections – “Auto”, “Transport Engineering”, “Auto Mechanics” and “Auto Exotica”. 219 exhibitors from 12 countries – Belarus, Czech Republic, France, Estonia, Lithuania, Russia, Italy, Poland, Finland, Germany, Sweden and, of course, Latvia – presented the latest car models, tuning masterpieces, classic cars, commercial vehicles, garage equipment, tools and other automotive products. 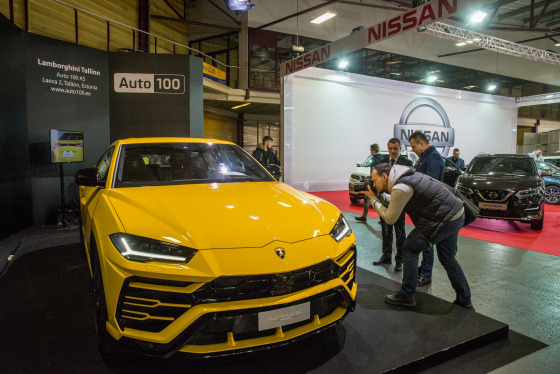 “Auto 2018” offered Baltic premieres of several new cars, for example, the world’s fastest SUV – Lamborghini Urus capable of accelerating to 305 km/h. The show was a debut new generation Nissan Leaf, the sporty Renault Megane R.S. hatchback and the Suzuki Swift Hybrid AWD showcased at “Auto 2018” were launched onto the Baltic automotive market. The organisers have established a new tradition – the most active participant on his company’s social networking platform was determined. The “Auto 2018” travelling cup and the title “Social Media Champion” was presented to Moller Auto Krasta. “Auto 2018” also presented commercial and special purpose vehicles, of which the one attracting the greatest attention of visitors was the SISU GPT armoured vehicle. 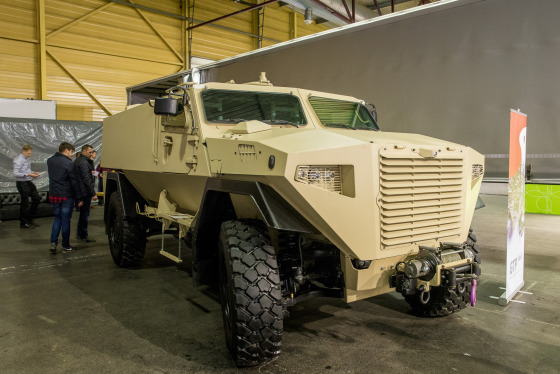 Finnish manufacturer handed over this 16-tonne military vehicle to the armed forces of Latvia for field tests. 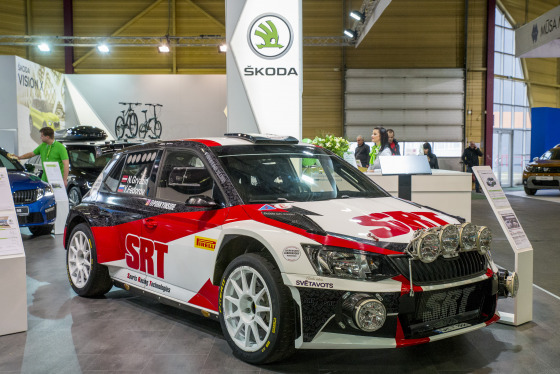 The car racing fans were particularly delighted to see the half a million worth Toyota Hilux pickup that raced at Dakar Rally this year, as well as the Škoda Fabia R5 rally car, the SRT’s new RX2 Ford Fiesta, drift and other racing cars. 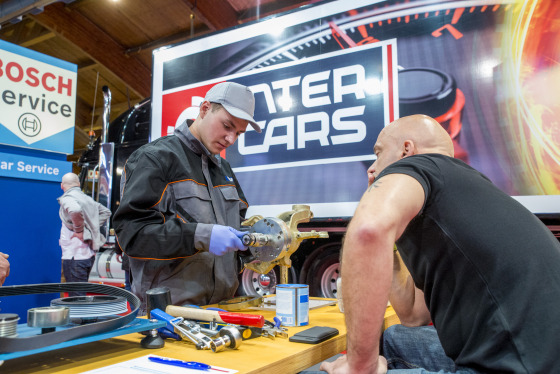 The national finals of the professional mastery competition “Young Car Mechanic 2018” was held from 6–8 April. Emīls Ēriks Rūters from the Jelgava Technical School (1st place), Artūrs Rjabčenkovs from the Riga Technical College (2nd place) and Kristaps Rosvalds from the Kandava Agricultural Technical School “ST Cīrava” (3rd place) qualified for the international competition for students of secondary technical schools “Young Car Mechanic” in Poland on 14 May. However, the most spectacular part of the “Auto 2018” motor show was “Auto Exotica” presenting the latest and most beautiful tuned and racing cars from the European and Scandinavian countries, as well as the cars polished and upgraded for the coming summer season by local motoring clubs. The winners of the Auto Exotica Awards 2018 competition were determined during the fair – The Best Car of the Event title went to the American 1973 Dodge Charger Classic muscle car that develops at least 800bhp rebuilt by the famous Latvian drag race driver Ilmārs Zausajevs. The Best Custom Car award was presented to Carl Johan Johansson from Sweden for his modified 1953 Hudson Hornet lowrider equipped with advanced technical units - 350 bhp 5.7 l V8 engine paired with an advanced five-speed automatic transmission. 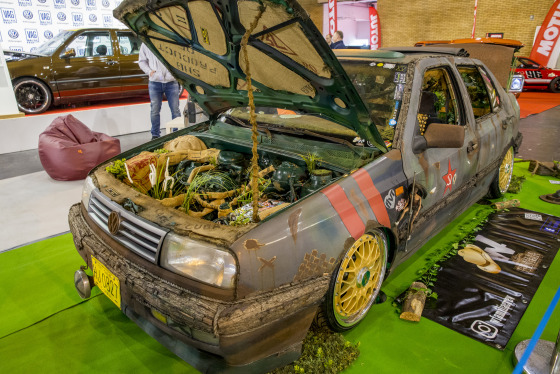 The Best Ratystyle award went to the specimen of this popular tuning trend – the German 1990 VW Vento. The Best Extraordinary Car award was presented to the metal artist Normunds Bērzinš for remodifying the Mercedes SLK roadster of the 1990s into the GAZ 21. The Auto Exotica Awards 2018 were presented in more than 10 different nominations to car owners, automotive clubs or car show organisers. The organizers of Auto 2018 also offered entertainment possibilities for younger visitors. Children were welcome to the Children’s Entertainment Area to meet the friendly transformer Bumblebee, to see the Star Wars vehicle or take a ride in a retro electric car. 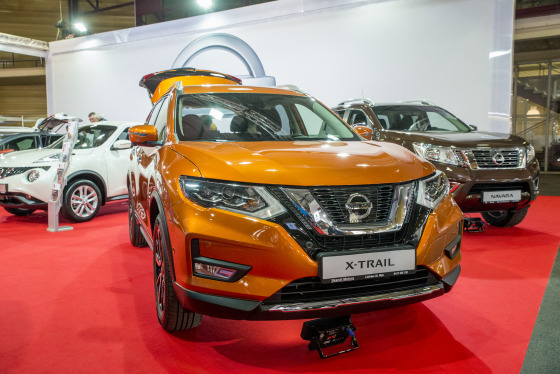 The "Auto 2019" motor show will be held in Kipsala International Exhibition Centre from 12–14 April next year. 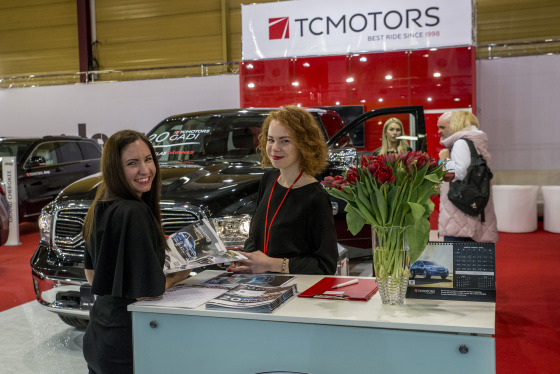 The Motor Show “Auto” is held by the International Exhibition Company BT 1.